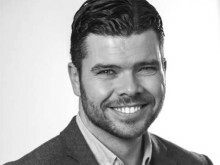 Northumbria graduate Paddy Campbell is a Northern Irish writer based in Newcastle who came through Live Theatre’s writing development programme. 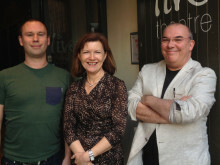 His first full-length play, Wet House premiered at Live Theatre in September 2013 as part of its 40th birthday celebrations and was directed by Max Roberts. Paddy’s second play Day of the Flymo opened at Live Theatre in April this year and returns to the stage this week for a new run. 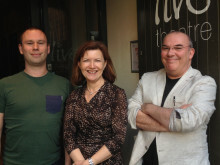 Paddy is the inaugural Writer-in-Residence for the first year of a three-year collaborative Writer-in-Residency programme between Northumbria and Live Theatre. The joint Writer-in-Residency Programme, which will run from 2015 to 2018, will contribute to Northumbria’s ongoing partnerships with the cultural sector that nurture and support emerging creative talent across the North. Theatre-goers can gain a valuable insight into playwriting this week at a free event at Live Theatre with playwright Paddy Campbell on Friday 13 November at 6pm. Paddy Campbell will discuss his approach to writing as he talks about being the inaugural Writer in Residence, along with Day of the Flymo director Paul James, Live Theatre’s Artistic Director Max Roberts and Northumbria’s Dr Matt Hargrave before a performance of Day of the Flymo. Northumbria University’s Pro Vice-Chancellor (Business and Engagement), Lucy Winskell OBE, said: “If you didn’t see Day of the Flymo during its first run at Live Theatre earlier this year then you’re in for a real treat. Paddy’s play is powerful and funny and follows in the footsteps of his hugely successful debut, Wet House. 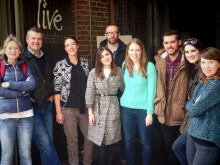 “We were delighted to name Paddy as the first joint Live Theatre and Northumbria University Writer-in-Residence earlier this year and I’m very excited to hear about the innovative work he has been doing with staff and students. Day of the Flymo opens at Live Theatre later this week (Thursday 12 November to Saturday 21 November). 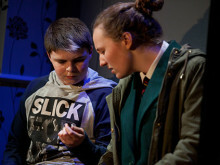 The play that follows a brother and sister as they come into contact with the care system was inspired by Paddy’s own experience of working in a children’s home. In addition there is a free Talkback discussion, at 9pm on Tuesday 17 November, (approximately ten minutes after the end of the play) in which the writer, director and actors from the show talk about the process of bringing the show to the stage.